ONLINE bookmakers are likely changing their odds after The Block's leaderboard was turned upside down tonight. 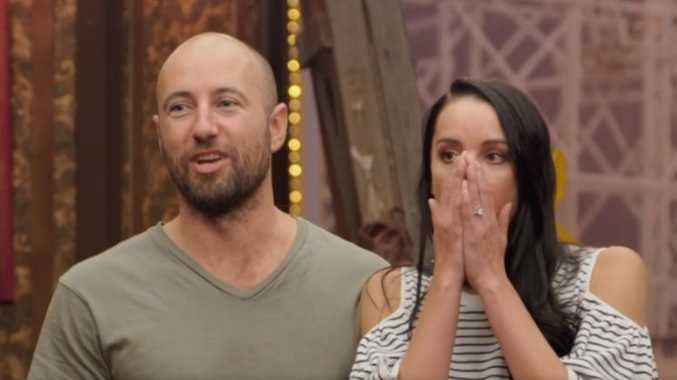 Hayden and Sara, winners of the 48-hour challenge who had first pick of the apartments, walked into judging full of confidence after finishing their main bathroom ahead of schedule. 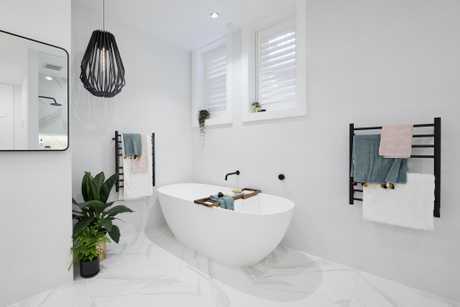 But the wind was soon knocked out of their sails when The Block judges labelled their bathroom ugly and over-styled. "I'm not liking anything that I'm seeing in here," Neale Whitaker said. "I feel like this bathroom is not big enough. This thing (the vertical garden) behind me feels like at least two other people. I am completely overwhelmed by it. This feels so over-the-top; it's just an ugly choice." Shaynna Blaze wasn't much kinder. "It's very weak styling. It's just shove, shove, shove, bang," she said. "You know what it is? Too many heroes." 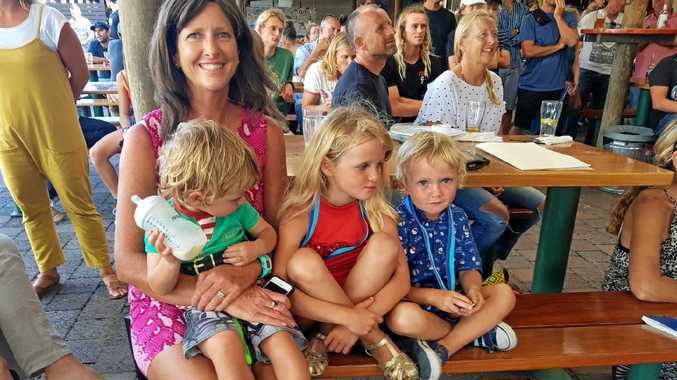 The Sydney couple will need to have a major-rethink about their vision for the second-level apartment, which they passed over the penthouses to secure. That wasn't the only shock of the night, with Courtney and Hans surprising everyone - including themselves - by winning the week's prize. After finishing last in the 48-hour challenge, they overcame several major setbacks during the week to deliver a finished room. Their restrained styling and terrazzo tiles had the judges singing their praises. "I can't help thinking they're doing a contemporary take on the original heritage of the building," Whitaker said. "It feels like a really subtle, modern reworking of that style and that era. "They've obviously taken it on the chin and gotten on with it." Netballers Bianca and Carla finished in second place by half a point. 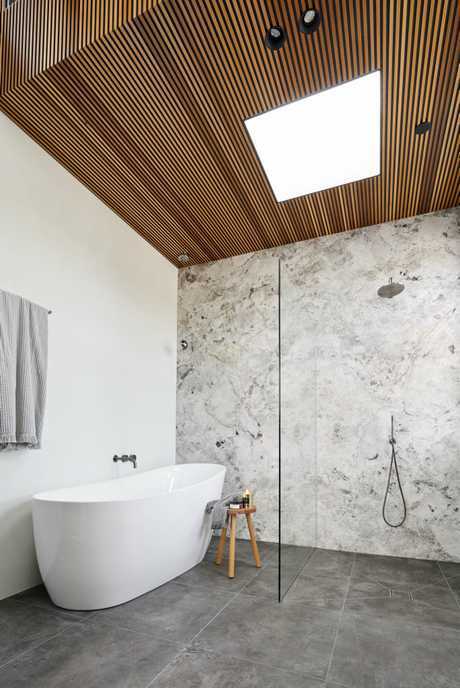 Taking advantage of the lofty ceiling heights in their penthouse apartment, they splashed out on a stone feature wall and timber-clad ceiling. Their work was mostly praised by the judges, but they were docked a few points for their frosted window decals and a lack of eye-level storage. "Can you imagine how hard this was to get up here? That's two big slabs of natural stone. That's a massive decision," Darren Palmer said. "I cannot wait to see this apartment come to life." Sunshine Coast parents Jess and Norm avoided a potential disaster with their bathtub to finish middle of the pack. 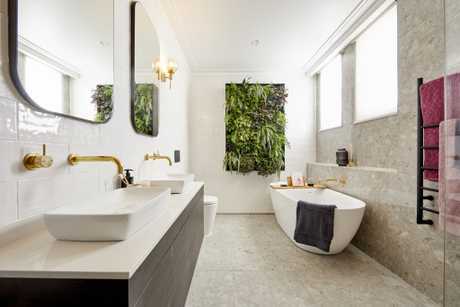 Worried that nothing less than a stone bath was worthy of a penthouse apartment, Jess ditched her original bathtub at the last minute and sourced a replacement on Gumtree. Somehow she failed to notice it too was plastic, but the judges actually thought it was a smart decision. "It's actually plastic (but) it looks like concrete. It looks a million dollars," Palmer said. "It's so much more practical than getting this big heavy thing up all that scaffolding. It's a clever and smart solution." While they also loved Jess's choice of a mature Japanese maple, there was a lack of practical storage in the otherwise sophisticated space. Kerrie and Spence finished in fourth place after a difficult week which nearly saw them quit the show. Master craftsman Spence took on some of the tiling work, but the judges were quick to notice that his floor tiles didn't line up with the wall tiles. It was an aesthetic bungle they couldn't ignore. "Wouldn't that drive you insane?" Blaze said. 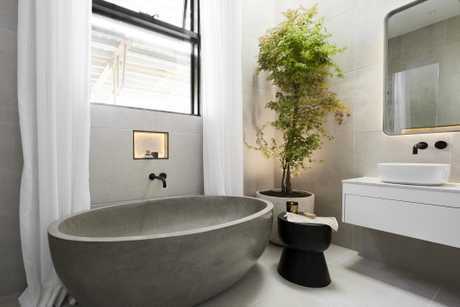 But the couple's biggest flaw was that they played it safe with the design of the bathroom. "It's a very polite bathroom in a building that was never polite," Whitaker said. "They need to, every now and then, take a bit of a risk." This upcoming week the teams will renovate a guest bedroom.